Last October we posted an article about Fake Passbook Passes and how important it is to validate them. Today we are officially announcing that codeREADr is the first smartphone app code scanner that can now scan all three pass symbologies, including Aztec, PDF-417 and QR codes. As a result of this capability, we are introducing an innovative program for Pass redemption – namely ‘One App, Any Pass’. One of the gating items holding back broader adoption of Passbook is the capital expense for purchasing the imaging scanners required to scan mobile barcodes. In other words, this would be barcodes presented at the point of service on a consumer’s phone. This is especially true for schools, healthcare facilities, enterprises, and many merchants like restaurants, salons, etc. that don’t already have or need barcode scanning hardware for other uses. An alternative to buying imaging scanners would be to use smartphones, tablets or music players (e.g. iPod touch devices). These devices have intuitive user interfaces and can easily scan mobile barcodes using their built-in camera. We’ve been preaching this since 2009, especially for tablets and iPods which don’t require carrier plans when used in WiFi-enabled environments to act as a code scanner. We’ve seen substantial and growing interest in the use of smartphones for data collection and validation in the education, healthcare, and enterprise verticals. However, for the retail vertical, adopting smartphones will still leave a significant issue. Specifically, this would be program management and integration with multiple pass opportunities. Every coupon, deal, voucher, gift card and loyalty card provider that generates a pass will also need to provide merchants with a way to track, validate, and redeem their passes. Each will likely provide a mobile barcode scanning app and expect participating merchants to learn how to use it and train their staff accordingly. That’s fine for one pass provider. And maybe for two. But what about all of the other fabulous marketing opportunities available? How will they validate their passes? We think a non-integrated approach to pass validation will be a significant limitation, hindering a broader deployment of passes in the retail environment. We believe there’s a future where a single, provider-agnostic app could redeem passes from multiple pass providers. In this way, merchants and their marketing agencies could work with any pass provider while supporting validation and reporting using an app they control. This could make their life simpler and their programs more effective. Merchants could build their own pass validation apps using the one app approach. However, they could save time and money by instead using the codeREADr platform, leveraging our four years of real-world experience and focused investment on scanning technology and data validation using iOS and Android devices. Merchants and Pass providers can freely brand the codeREADr app – in this way they are the solution provider and we are just the code reader. And they can use our Web UI or extensive APIs for reporting and integrating administrative functions with their own Web portals and databases. How Does our Code Scanner Do It? Since 2009, we’ve offered a provider-agnostic platform for SMBs to scan, validate, and redeem ID-embedded barcodes, whether presented in print or on mobile screens. For One App, Any Pass we enable merchants to independently validate scans against unlimited pass databases from an unlimited number of pass providers. And now we can do that regardless of the barcode symbology presented at the point of service. 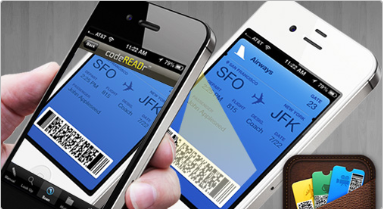 With the codeREADr app installed on their iOS or Android devices, merchants can quickly and accurately scan passes at their point of service and securely validate them. The resulting scan data is stored in the cloud and can be emailed or exported as a CSV file or fetched using simple APIs. Pass databases can reside on codeREADr’s cloud-based servers or on the device itself. Alternatively, we also enable pass databases to remain exclusively on a pass provider’s own servers with each scan posted directly to their servers for validation – see Direct Scan to URL. If you would like more information about our code scanner services, please feel free to email me directly at your convenience. Thanks!